Starting at pre-school is a big step for your child and we are sure there are a lot of questions you will want to ask. Hopefully this website will answer many of them, but please call in and chat to the staff and see the group in action. Wonersh Pre-School was established over twenty years ago. It is a community pre-school run by a committee of parents and staffed by trained and experienced play leaders and assistants. It is registered with OfSTED and is a member of the Pre-School Learning Alliance. 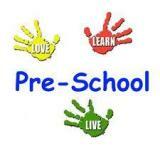 The pre-school runs daily during term time and accepts children from the age of two to school age. There is also a Parent and Toddler group which meets weekly during school term times.